I enjoy thinking about the structure of the museum as a mixtape. 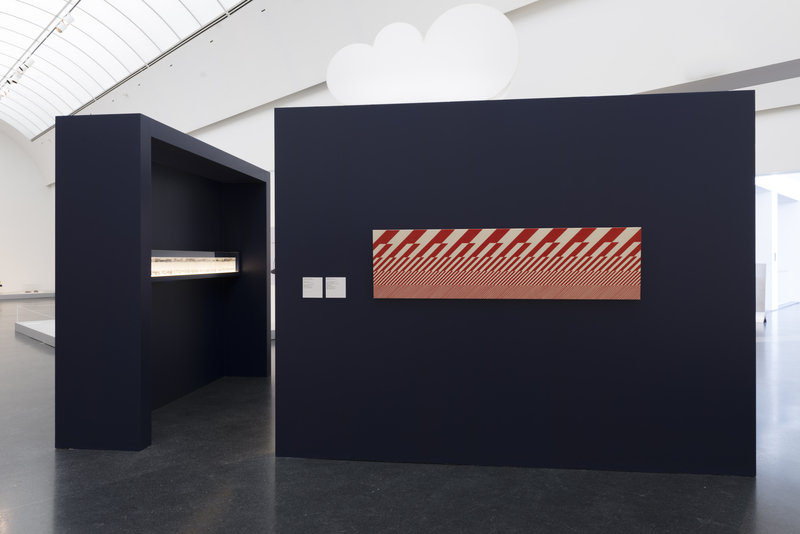 Within an expanded taste, different exhibitions are organized with loose connections in an evolving tempo, hopefully with a mutual understanding regarding the role of the institution. Back in the day, mixtapes were a tool of courting; in making one, the mixtape-maker demonstrated how cool they were, how broad, complex, versatile and surprising was their taste. The danger was, and still is, in them exposing themselves as being…well, not cool. The MCA has put on, side by side, three major exhibitions: “Surrealism: The Conjured Life,” “The Street, The Store, and The Silver Screen: Pop Art from The MCA Collection,” and “Pop Art Design,” that allow me to contemplate the quality of its current “mixtape.” What is the common ground? These are group exhibitions that focus on specific time periods, and two of them are built from the museum’s collection. Side A: History is not a myth. While the three exhibitions are historical, they touch upon the concept of history in opposite ways. Whereas the two Pop Art exhibitions are faithful to a specific time period, the Surrealism show takes this very specific art-historical term for its colloquial meaning—à la taking mushrooms and reporting, “It was so surreal, man.” Built in a quasi spiral, the exhibition leads the viewer from the outside in. 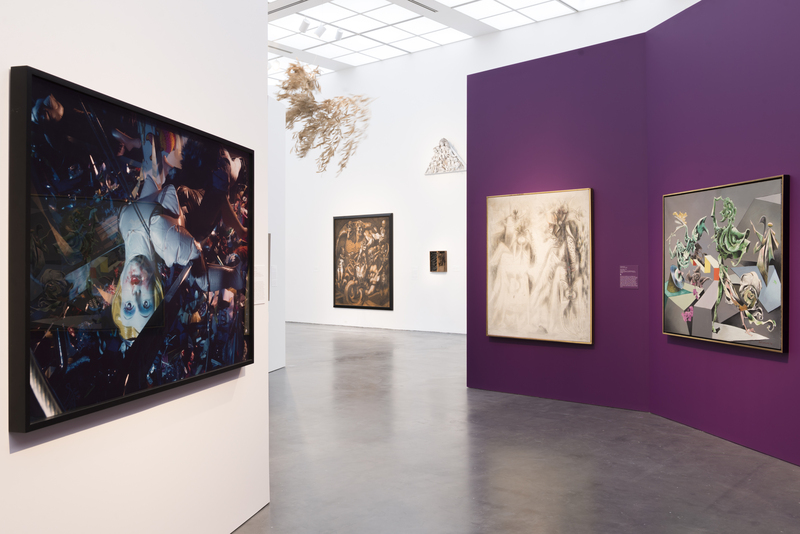 The outer walls feature works from the 1950s to the present day, and the inner works from “founders of the movement” shown next to “women surrealists…who were historically overlooked,” as the exhibition’s wall text reads. Add to that Cindy Sherman. And Francesca Woodman. Fearing the visitor may lose their way in the spiral, the exhibition provides a glossary of common symbols, themes and motifs. Among the categories one may find “myth and legend,” “the surrealist portrait” and “death,” to name a few. I wonder who are these visitors who need a guide to recognize a portrait, and why the MCA does not trust our basic intelligence or even primal pattern recognition to notice that if we see reoccurring dolls we are facing… a motif? Rule number one of a bad mixtape—assuming your audience is stupid. The glossary exposes the fundamental schism of this show, which frames the Surrealists as a comprehensive unit formed by the horrors of World War I and the Industrial Revolution, while also featuring contemporary artists that have nothing to do with that. For example—masking the work of Wangechi Mutu as purely surreal undermines her continuous involvement with post-colonial and feminist concepts. There’s nothing wrong with building a show around a formal theme, but there is real danger in re-writing and mistranslating historical movements into the present. 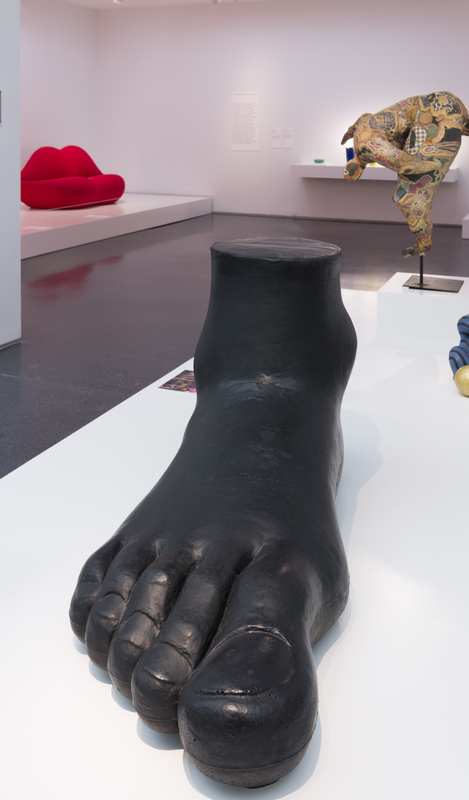 Structurally speaking, the show manages to squeeze in “more than 110 works” in one gallery, a tendency that the museum has displayed before, in the show “Body Doubles,” for example. But, as much as I am aware of, the MCA is not in a contest of how much can it fill one gallery, and I am not in an all-you-can-eat buffet. Rule number two of bad mixtapes–overfed is overkill. Pop reemerged as a popular theme this year with the Tate Modern’s “The EY Exhibition: The World Goes Pop,” the Walker Art Center’s “International Pop” and MUMOK’s exhibition “Ludwig Goes Pop.” All these shows attempt to provide either a newly global or highly individualized perspective on the movement. Coming to “The Street, The Store, and The Silver Screen: Pop Art from The MCA Collection,” I am bewildered by its proposal. “The Street, The Store, and The Silver Screen”—Is this truly a new take on the movement? Even though Michael Darling, the show’s curator, writes that, “We may think we know pop inside-out through the well-documented and widely discussed work of Andy Warhol and his peers,” he chose to focus on its most simplistic definition: being an art movement shaped by consumer products (that one encounters in the street and in the store) and popular imagery (that were available in movies, for example). What am I missing? Perhaps just that this show is a filler. Entering the Pop exhibition from the left, one encounters works truly worth visiting—Warhol, Christo and Broodthaers never fail. But the “street marks” on the floor do. It is as if someone wanted to make sure that even the illiterate will acknowledge the very known fact of Pop Art being influenced by pop, daily artifacts of the street and commerce. Crossing to the other side of the exhibition, a sign announces, “Based on our agreement with the exhibition’s organizer, no photography is allowed in Pop Art Design.” In my naïveté, I had assumed that the organizer is the MCA. Of course I was wrong. The Pop show is two separate exhibitions, a fact made clear on the museum’s website, but very well camouflaged in the space itself. Turn left, it’s “art,” and right, it’s “design.” On the left you enter Michael Darling’s curation and on the right, a traveling exhibition from the Vitra Design Museum in Germany. The split produces a complete shift in atmosphere. The design of the Vitra show seems more like a storage display than an exhibition that considers the body and the mind of the viewer. The overcrowding is inconsiderate toward the works on display, which end up competing with and overshadowing each other. Although it features many exciting designers as Eames, Nelson, Sottsass and Venturi, just to name a few, it completely fails in featuring them in the space. It is as if the show were structured for its catalogue or its online documentation, and the organizers forgot that actual bodies would be moving through its space. Moreover, the right-left division defeats the very premise of the mixtape: that art merged with design, culture and commerce. Back to rule number one—don’t assume I’m stupid.